The marketing of the first wave of the women’s rights movement is highlighted by author Kenneth Florey. 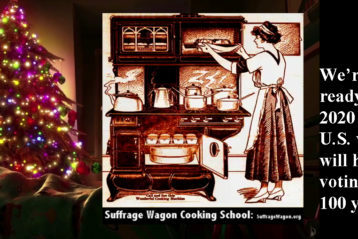 How to make hot tea—from Suffrage Wagon Cooking School! Suffrage news includes 125 years of New Zealand women voting. 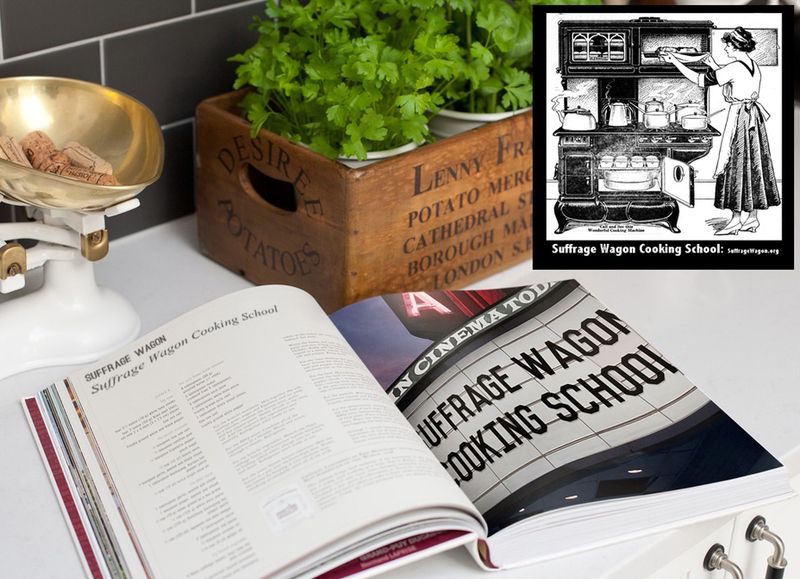 Making carrot cake at Suffrage Wagon Cooking School involves stories about Edna Kearns and the first wave of the women’s rights movement in the United States. 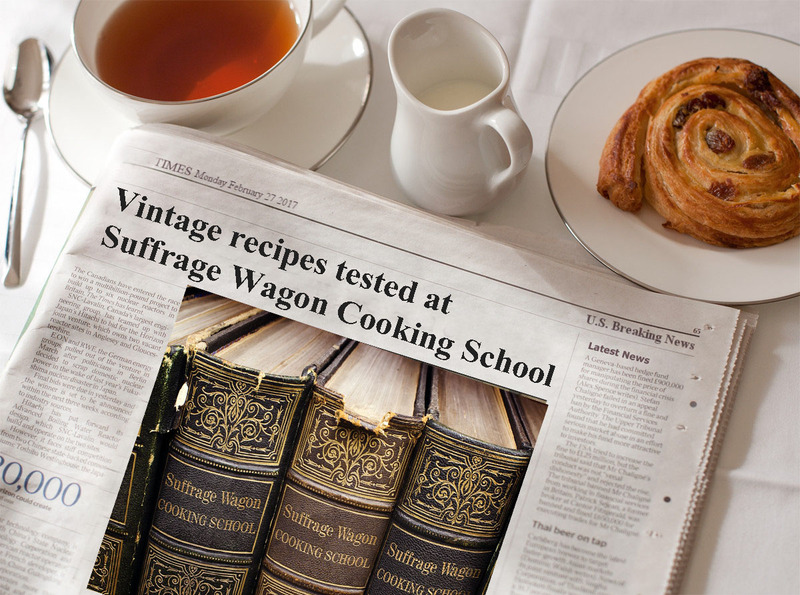 A video plus links to recipes and demonstrations at Suffrage Wagon Cooking School. 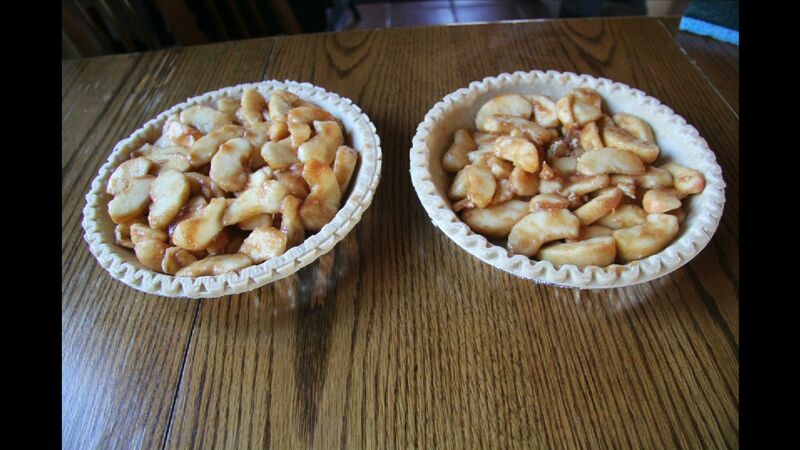 Hot tea, hot coffee, and Chinese fortune cookies are featured in this posting. Find out more. 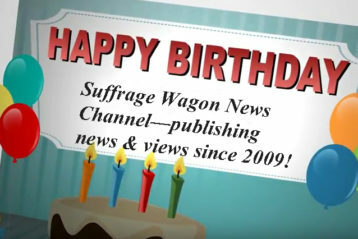 Suffrage Wagon Cooking School sends its best wishes for a happy Labor Day weekend with a video. 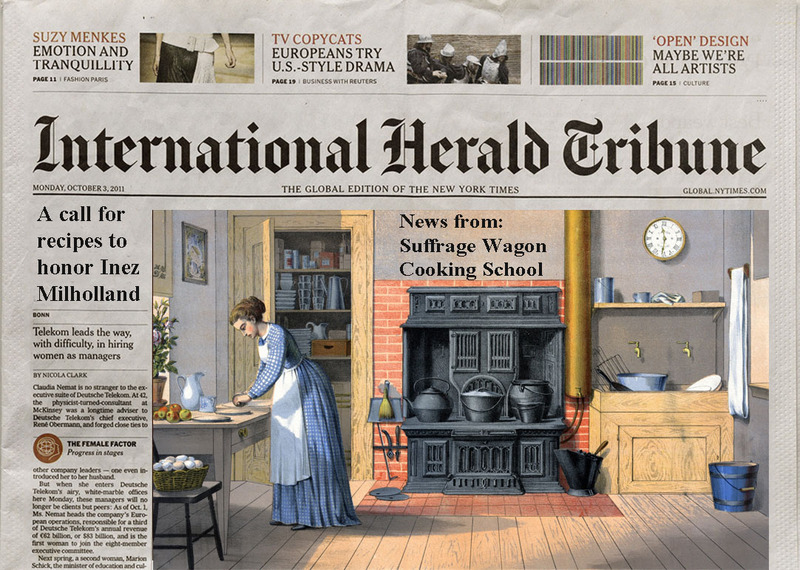 We have included here news about suffrage-related events and celebrations. Wondering why we have been publishing since 2009? Because we have come a long way. 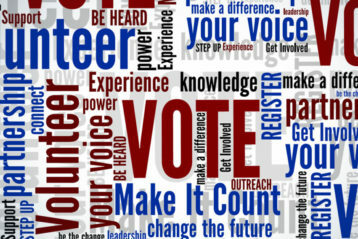 Back in 2009 there were few links and feature articles about the first wave of the women’s rights movement in the US. 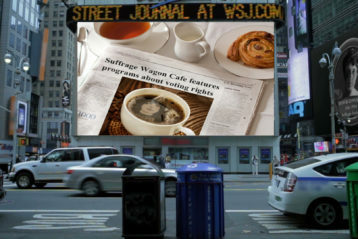 Chef Cutting visits Cooking School, plus Breaking News from Suffrage Wagon!